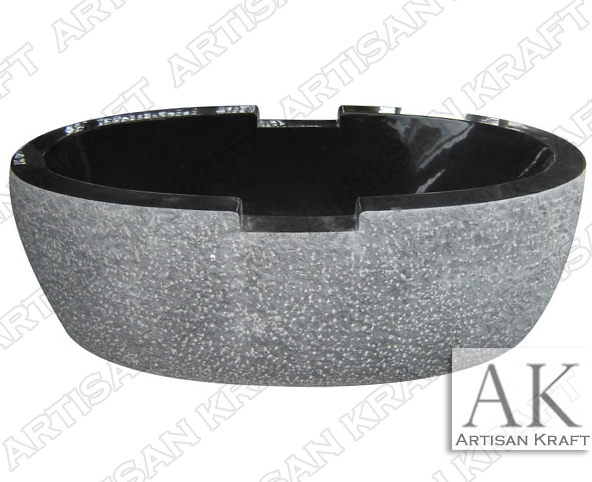 Luxury tub carved from elegant absolute black marble into a sleek and sophisticated design. The inside of the tub seamlessly flows with a refined touch of beauty. While the outside of the soaking bathtub is rugged natural marble is left unpolished for a bit of a rocky feel. Black marble soaking bathtubs delivered nationally including Texas and Florida. Shop our large selection of freestanding stone bathtubs.